Get out of the dark with this handheld spotlight from Cyclops. 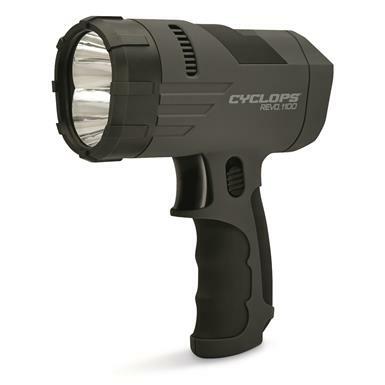 This rechargeable Spotlight shines bright light where you need it most. An essential take-along for camping, hunting and fishing. Or use it at home during power outages. Includes chargers for both home and car.